I got the idea of welding the hoe and the trowel together just to see how workable it would be, and was pleased at the job it did cutting and digging, and how well it worked on the trapline. I was well satisfied! After marketing my trapping videos, and the trappers saw firsthand how I used the tool, I had a lot of inquiries about it. The only problem – I was not able to get the "Yo-Ho" tools I had used in the past, as they had gone out of business. At this time, I decided to manufacture my own, making it more heavy duty to stand up to hard use. This is how the Badger™, the Sod Devil™ and the Jim Digger™ came about. The Strongest Trapping Tools Made!!! Two diggers in one. Length is 27 inches. Trapper's trowel measuring 23 inches in length. Choose from Narrow 2-1/2" or Standard 3" blade. The same fine craftsmanship of our Jim Digger™, with a strong, cold roll steel D-handle. Overall length is 26". Choose from Narrow 2-1/2" or Standard 3" blade size. All metal heavy duty D- Handled Mink Digger™. Handle straight up for maximum strength and ease of digging. 44" overall length. No more broken handles! 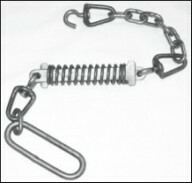 Heavy duty D-Handle made of cold roll steel for strength. For welding on to your metal diggers. No more broken handles! Trapper's hoe measuring 19 inches in length. Trapper's trowel measuring 40 inches overall length. Heavy duty dirt sifter, available in Aluminum or Stainless with easy grip handle. Sifter is 6 1/2" in diameter and 6" deep at the handle with heavy duty expanded metal bottom, welded inside and out , which makes one strong sifter. 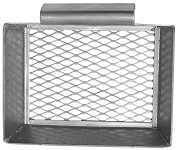 All aluminum heavy wall dirt sifter with handle for easy gripping. 7" x 10" opening with tapered sides and a slide in the floor for the convience of carrying dirt. The Handle is made of Schedule 40 pipe. The Pivot Pipe is 2-1/2" diameter. 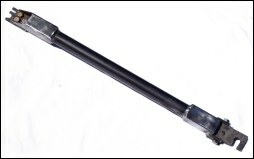 The Tool Steel Heads are Heat Treated and Tempered for hardness, strength and long lasting. Satisfaction Guaranteed. See Tip#16 for more pictures and information.